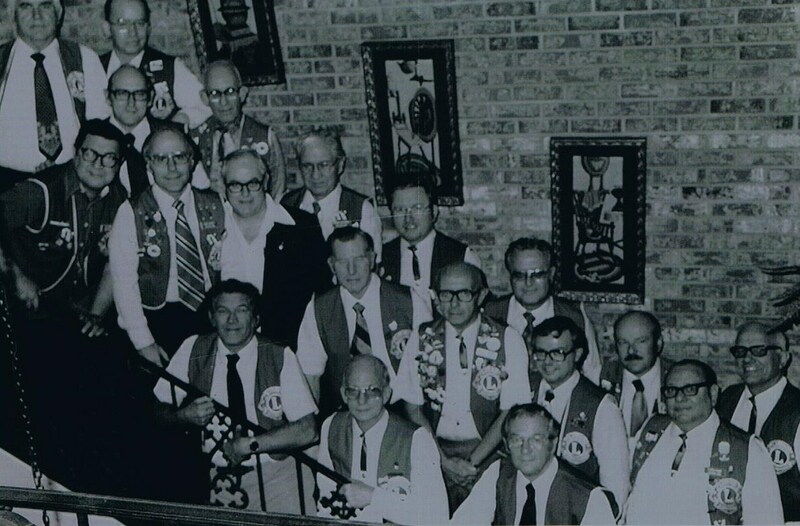 The Mad River Lions Club was chartered on December 29th, 1954. The Belmont Lions Club, the Fairborn Lions Club, and the West Carrollton Lions Club were our sponsors. During the early years of our organization while we were still trying to establish our identity within the community, the club sponsored wrestling matches, a circus, participated in the booster carnivals, and hosted antique car shows. In the early years of our club, we donated the first scoreboard used at the Stebbins football stadium, Edmundson Stadium as it is shown today. It was dedicated in the honor of Orville Edmundson, the first principal of Stebbins High School, and a long time member of our club. Fundraising activities over the years have included selling brooms, light bulbs, candy, raffle tickets, and entertainment books. Our major fundraising activities are the Montgomery County Fair, the Mother's Day Flower Sale, and the concession work at Fifth Third Field. Our work with the county fair and the flower sale have been continuos for the past 40 years. The monies raised through these projects go back into the community in the form of eye examinations, eyeglass purchases, youth athletic programs, and our annual Christmas Basket Program, known as Project Share. The Project Share program has been ongoing for over 40 years. Always looking for more opportunities within the community to serve, our club has also provided three members of our community with special radios from the WORDS Radio Reading Service for the visually impaired. We also furnish members of the community with three closed circuit, low-vision reading units. The Mad River Lions Club is always looking for new projects, new challenges, and new ways to serve our community and new members.